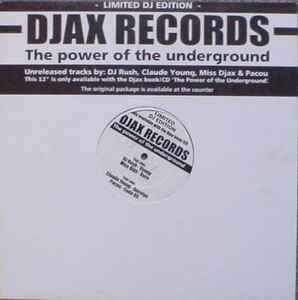 This limited DJ edition 12" was only available in a set with a book and a CD compilation Various - The Power Of The Underground - 1989-1999 that contains a track from each year. The book tells the story of Saskia Slegers and Djax Up, it's back catalogue, many inteviews and pictures. Some copies were sold seperately.